The average cost of one box of potential deposition exhibits is $500. Factor in any shipping cost, color documents or extra time to prepare and that box cost can explode. And let’s not forget the cost to store and retain those mounds of paper. Preparing potential exhibits for deposition takes a lot of time. Attorneys are on the clock to finalize documents & it can take hours or days to create the multiple sets. Then handing out the sets & shuffling through pages at deposition cuts into valuable questioning time. Massive amounts of paper consumption is harmful to the environment! sets and unused documents from your depositions sure aren’t helping. Data security is a major concern these days for you and your client. Paper just can’t provide the same peace of mind that technology can. Once a document is printed from your secure document management database and released into the room, the security is compromised. Paper dumps were big 20 years ago. Today, modern technology turns more heads, earns more respect and is much more efficient than parading boxes and boxes of paper into the deposition room. Preparing potential exhibits for deposition takes a lot of time. Attorneys are on the clock finalizing documents & it can take hours or days to create the multiple sets. Then handing out the sets & shuffling through pages at deposition cuts into valuable question time. You’ve accepted these problems because paper knew it was the only game in town…until now. 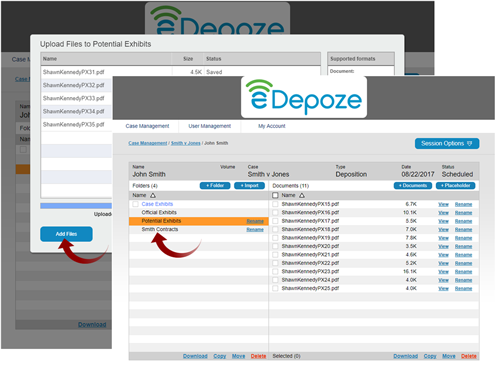 eDepoze is the first deposition exhibit software that allows you to electronically prepare exhibits for deposition and then securely introduce them with an iPad or laptop. 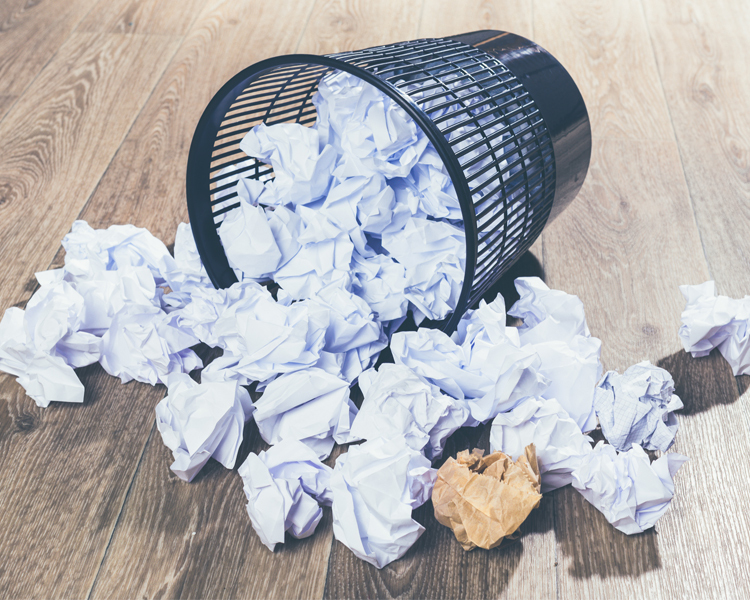 The convenience of showing up without boxes of paper is liberating and eDepoze eliminates the paper process aggravation and cost. It’s simple to organize and surprisingly easy to use. Depo prep now takes minutes not hours or days. No more 11th hour dash to organize and reorganize potential exhibits. Your attorneys also have more time to prepare their exhibits eliminating the begging game to get documents in advance. eDepoze takes away the hassles of the paper process you dread and replaces it with an effortless, straightforward platform that will give you your nights and weekends back! 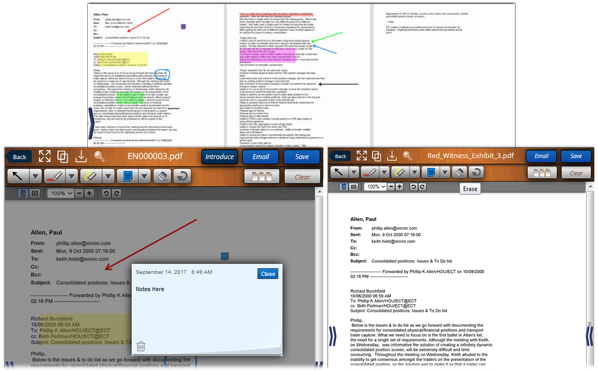 Technology can be scary but eDepoze follows the same paper exhibit workflow you are comfortable with. 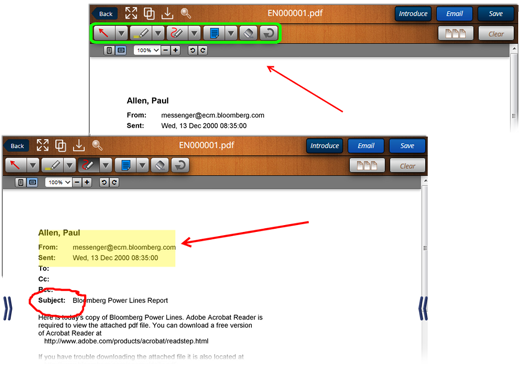 Designed by attorneys for attorneys, eDepoze lets you focus on the deposition and not running a software program. 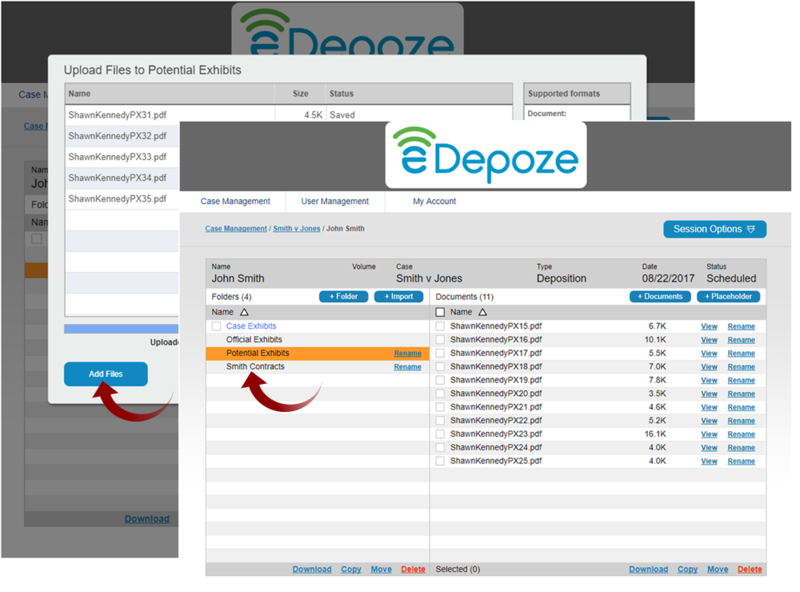 eDepoze also gives you powerful tools that allow you to control and manage your depositions more effectively. No more fumbling witness and no more explaining large printing invoices to your client. eDepoze dramatically reduces your legal spend while ensuring that your sensitive, critical company documents are secure. eDepoze offers a direct impact on Cost Control, Data Security, Process Control and Environmental Impact. Corporate Legal Departments are already utilizing technology for the discovery and review phases of their matters for these reasons and more. Doesn’t it make sense to do the same for depositions? DISTINGUISH YOURSELF AT DEPOSITION WHATEVER YOUR ROLE IS. eDepoze makes the depo prep process a snap. 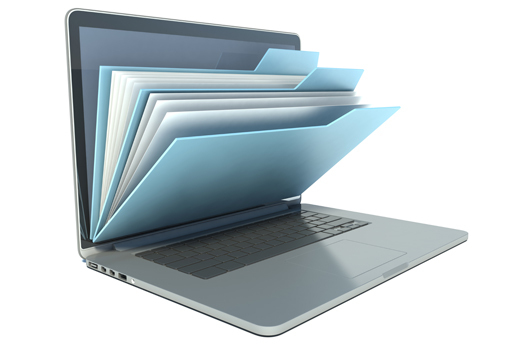 Just create folders, select the corresponding documents, upload and that’s it! Introducing exhibits is as easy as 1, 2, 3 with eDepoze. Just select your document, tap Introduce and stamp & Distribute. 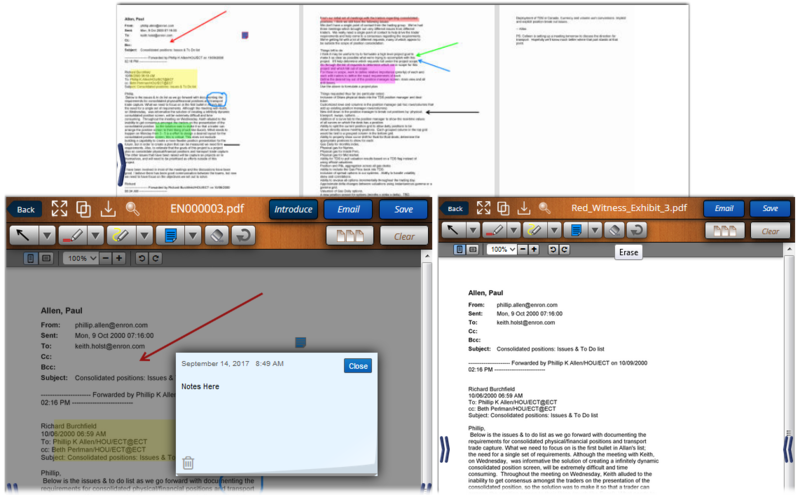 Our intuitive virtual annotation tools give you the ability to mark, direct and emphasize important parts of your deposition exhibits. Walk the witness through an exhibit by entering presentation mode. 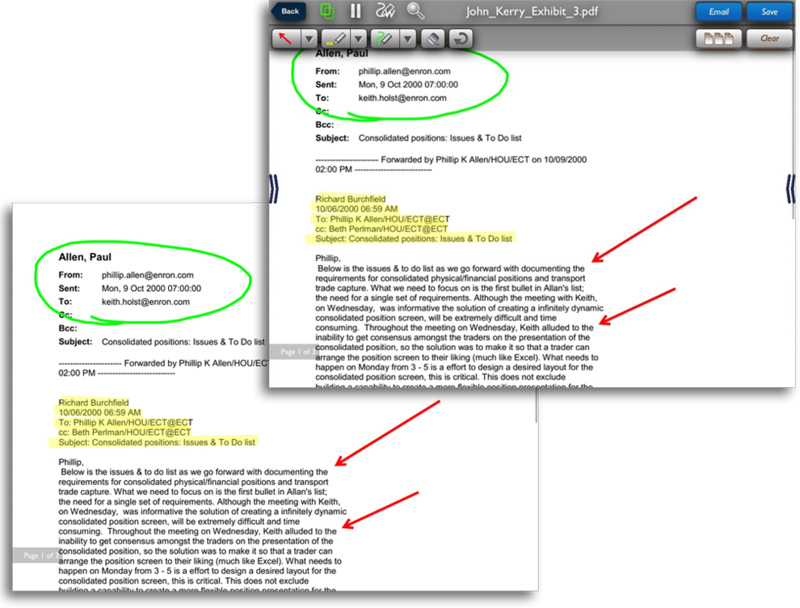 Mark up a document, or have the witness do it instead. Other participants can follow along with your presentation or continue working with their own copies. Change your mind on the document order before the deposition? No problem. 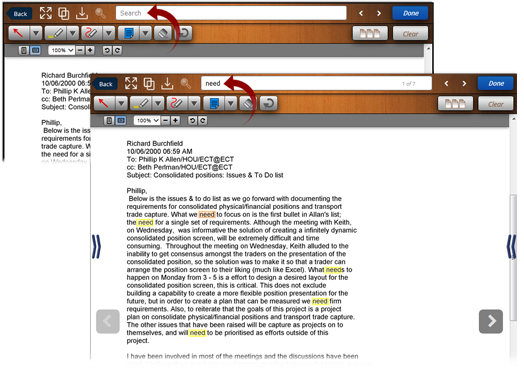 You can easily reorganize and rearrange your documents prior to the session. Looking for that key phrase or word within your documents? You can promptly run a search within a document to find all matches. eDepoze keeps a running log of exhibits as they are introduced at the session and case level. You can cleanly export this list with hyperlinks. No more haphazardly slapping together an exhibit log before arbitration, mediation or trial. eDepoze allows you to mark up and reference a personal copy of your documents for your eyes only. While the rest of the participants are viewing a clean version of the exhibit, you can view your personal copy complete with highlights, drawings and detailed notes. The eDepoze software platform is built on Amazon Web Services (AWS), one of the world’s premier cloud service providers and a trusted technology partner of international brands and government agencies. eDepoze utilizes eDiscovery-grade encryption, security, and privacy practices. For more information about security, privacy and Service Level Agreements, please email info@edepoze.com and request the Security Procedures and Protocols document. View pricing per session, event, and annual license. Purchase eDepoze now and get instant access. What are the most common technical issues users encounter? The most common performance issues are caused by (1) a very slow Wi-Fi connection; (2) using extremely large documents; or (3) a combination of both. For the best experience, you should make sure that the Wi-Fi or other internet connection you use is adequate (look for a minimum speed in the range of 5Mbs upload and 5Mbs download). And make sure that the documents you use are not unnecessarily large due to the way they were scanned or otherwise converted to .pdf format. How do users get trained? 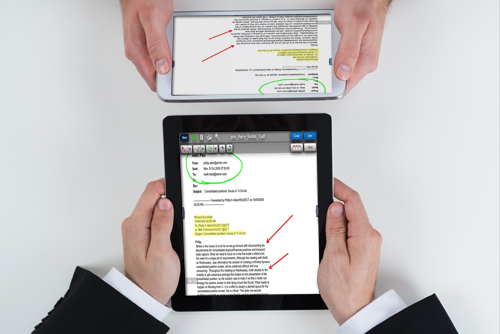 We can get the members of your team set up with all the training you need, including (1) training on the back end system for those who need to set up cases and deposition sessions and upload documents; and (2) training on the iPad or web apps for those who will use the app during the deposition. Who brings the device for the witness? Who helps the witness during the deposition? eDepoze supports .pdf format for use in the iPad and web apps. You can upload .tiff, .png, .jpeg, .gif, .mp3, .wav, .acc, .wma, .mpeg-4, .mpeg-1, .mpeg-2, .wmv, .avi, .mov and .txt file types as well through the Web Manager, and they will automatically be converted to .pdf. Documents are hosted in a secure database similar to how documents are hosted by third party e-discovery providers. We can provide you with full security documentation upon request. How do documents get loaded into eDepoze? 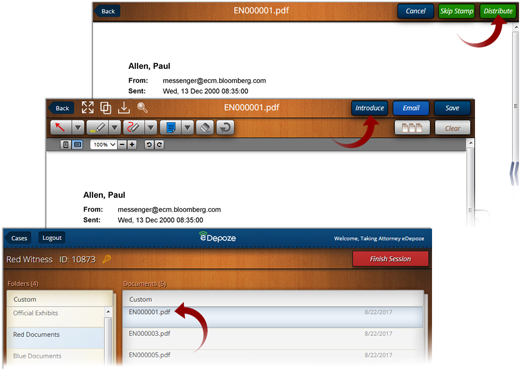 Using our eDepoze Web Manager, you can either upload documents from your local server/desktop, Box, Dropbox or import them directly from a Relativity/Binders workspace. Does everyone have to agree to use eDepoze? It’s obviously best to have everyone’s cooperation up front, but the system is designed to allow you to use eDepoze if you want. Anyone else can log in on their laptop or iPad as a guest for free and they will receive unstamped courtesy copies of each exhibit just as they do now. 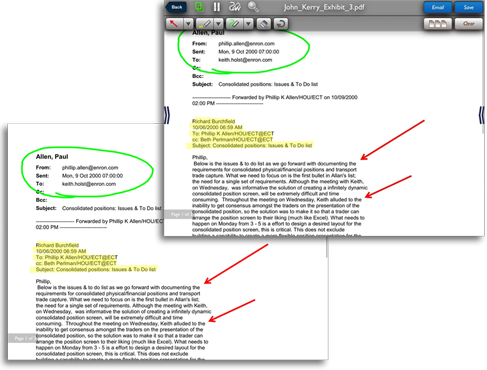 They can download or email copies of those documents to themselves. As with paper, they will just have to wait to get the official exhibit from the court reporter after the deposition. If you are dealing with a very uncooperative lawyer or witness, you could accommodate them by providing one courtesy paper copy at the deposition, but that’s typically not necessary. How do I notify opposing counsel? The rules may differ between jurisdictions, but we recommend that you include a statement about eDepoze in the deposition notice, similar to the kind of notice you might include if you intend to use video or live transcription. [If asked: We can provide you with a template that others have used. Do I have to use an iPad? No. Users can log in on their laptop using the web-based eDepoze app at https://webapp.edepoze.com. The web app should also work on the latest versions of other tablet (non-iPad) devices running Chrome and the latest operating system, but eDepoze only supports the web app on laptop. We recommend the iPad app for the best user experience, especially because eDepoze is taking the place of paper. Minimum WiFi Speeds: We recommend 5mps UP/ 5mps DOWN. However, the system may perform at lower speeds depending on document file size. Provide your witness with private access to review documents online when getting ready to testify. 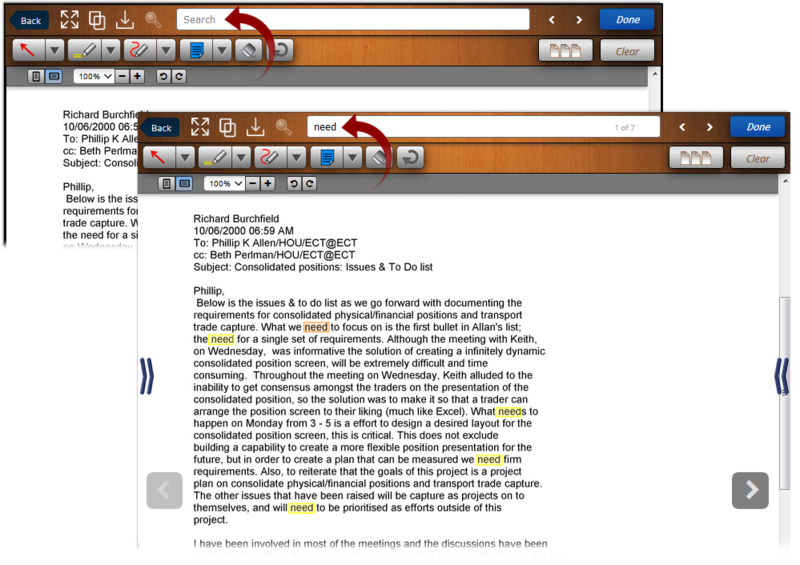 Our Witness Prep module allows you to effectively collaborate with your witness on key documents together or remotely. In arbitration, present and distribute exhibits to the entire panel and other participants. In mediation, present case documents and media when making your case to the mediator and other parties. In hearings, present exhibits and case law to the judge when arguing your motion. In trial, present and distribute exhibits during opening statements, when examining witnesses or during closing arguments. Single License only, additional licenses purchased separately. Please contact us at info@edepoze.com to discuss an Enterprise plan that best fits your organization. iPad and WiFi Hotspot services charge include device shipping and return and supply may be limited. Damaged or lost iPads are subject to a $500 replacement charge. Damaged Hotspot devices are subject to a $250 replacement charge. On-Site Session/Event Support not provided in all areas and based on availability. The Deposition Session option allows you to pay a flat fee per use at each deposition. Since you pay no extra fees, it is easy to control your exhibit costs and provide a more predictable rate to your client. 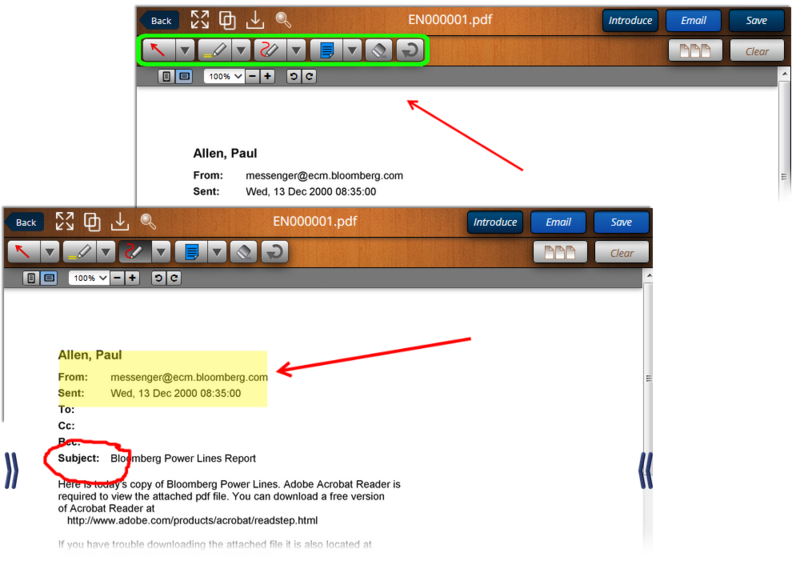 Billed directly through eDepoze/Inservio3: eDepoze/Inservio3 will invoice you for each Deposition Session use. Billed through your preferred Court Reporting Service: You will receive a charge for the eDepoze Session as a line-item on your associated court reporter invoice for the deposition sessions. If you are attending an eDepoze deposition as the non-taking attorney and NOT introducing any documents but would like access to the stamped exhibits and full functionality of the eDepoze platform, you can purchase a Member Attendee license per deposition session. That license may be purchased by credit card through our secure web transaction portal. Member Attendees will not have the ability to introduce any documents through the eDepoze system. For that ability, you would need to sign up as a full Member. Member Deposition Session purchases include: Full System Access, Exhibit Introduction, 24-Hour Session Period, Full Database Access, Instant Stamped Exhibit Access & 3 User Licenses. Additional users require additional Member purchase(s). Member Attendee Deposition Session purchases include: Full System Access, NO Exhibit Introduction, 24-Hour Session Period, Full Database Access, Instant Stamped Exhibit Access & 1 User License. Additional users require additional Member Attendee purchase(s). You can utilize the eDepoze electronic exhibit software in other Litigation Events such as Witness Prep, Mediation, Arbitration, Hearing and Trial. Contact us at info@edepoze.com for more information about how to use at your event. Litigation Event services are billed per event and directly from eDepoze/Inservio3. Court reporting company billing is not an option with Litigation Events. Our Annual Subscription License allows you to purchase 12 months of eDepoze service for one low monthly fee. You will have complete access to all session and event types with unlimited usage on each. The annual subscription allows you to truly reduce your deposition exhibit cost and manage your universe of case/deposition exhibits, whether large or small, in one platform. Annual Subscription License purchases include: Full System Access to All Session & Event Types, Unlimited Usage & Full Database Access. Subscription is for 12 consecutive calendar months and a signed Subscription License Agreement is required. Subscription is for a single eDepoze user license. A 10% discount is available on full initial payment. Contact us at info@edepoze.com for full details. Subscription services are billed directly from eDepoze/Inservio3. Court reporting company billing is not an option. The eDepoze Enterprise Account option allows you to purchase a package of eDepoze licenses at a discounted rate. These licenses are transferrable so you can move from team-to-team as the deposition or event activity increases. For General Counsel, the Enterprise Account option gives you the ability to control your outside counsel spend by assigning licenses per firm. Enterprise Account purchases include: Full System Access to All Session & Event Types, Unlimited Usage and Full Database Access. 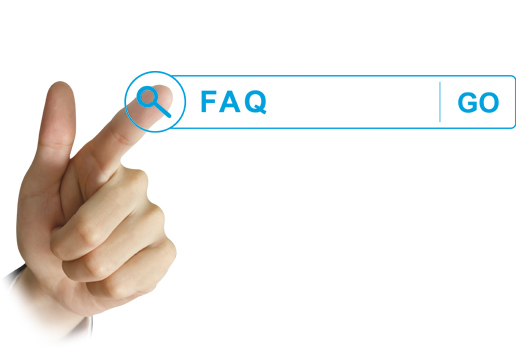 Enterprise service requires a minimum 12-month term and a signed Enterprise License Agreement. A 10% discount is available on full initial payment and/or 24-month term. Enterprise requires a minimum number of initial monthly users. Contact us at info@edepoze.com for full details. Enterprise services are billed directly from eDepoze/Inservio3. Court reporting company billing is not an option. All Attending Guests and Witness can access the system with basic functionality at no charge. Contact us at info@edepoze.com for more detail on these services. Want to see eDepoze in action? What features are you most interested in seeing? Ready to get Trained on eDepoze? We'd Love To Hear From You! Let's get started. Once a document is printed from your secure document management database and released into the room, the security is compromised. Maybe stronger packing tape on the box might work. Creating and organizing documents can take hours or days and valuable conference room space to create the necessary binders. Due to the time it takes to organize and print, attorneys generally need to finalize the documents at least a day in advance – and longer if you’re travelling or shipping.  Advanced Depositions combines all of the court reporting Industry “Know How” with a management team that brings a combined 50+Years of experience owning and managing both Regional and National court reporting companies. We want to meet every expectation you have; and beyond that, we want to anticipate the evolving needs and challenges of 21st century legal practices. What sets us apart, we feel, is a unique combination: technological expertise for a new era, and the traditional personal attention that has become a rarity in the legal field. With the best of both, we aim to craft a unique, cost-effective service advantage for every client. Aiken Welch Court Reporting has been perfecting service to clients for 35 years. We were the first to incorporate computer-aided transcription in the reporting field in our area and continue to be committed to the latest technology for our clients. We are your one-stop contact for real-time reporting, transcription services, transcript exhibit linking, online transcript repository, videography services, traditional and desk-top videoconferencing. We have experienced, skilled professional reporters and a knowledgeable, service-oriented staff. Aptus Court Reporting delivers the most talented and reliable court reporters and realtime reporting for your cases. Our Calendar and Client Services teams bring over 35 years of commitment and attentiveness to your deposition calendar, and you receive hassle-free assistance tailored to you and your clients. Aptus frees you to focus on what you do best: litigating your cases. From top-tier reporters, online scheduling and location research to complimentary conference rooms and dedicated case management, Aptus provides a comprehensive one-stop-approach to cover your deposition or hearing. You’ll have free and instant access to your online case portal, helpful online management of your calendar settings, transcripts, exhibits, and invoices – plus personal technical assistance to streamline solutions. Serving law firms, corporate counsel, and the entertainment industry for more than 40 years, Barkley Court Reporters is California’s largest privately held court reporting company and the first government-certified green court reporting service in the U.S. With 10 Barkley offices in California to complement its national and international lineup of facilities in New York, Chicago, Las Vegas, Paris, Hong Kong, and Dubai, Barkley is adept at providing deposition and trial technology services globally.  Additionally, Barkley offers videoconferencing, video synchronization, Internet streaming, electronic repository services, and secure online access to documents and transcripts from any PC or handheld device. Services Offered: videoconferencing, video synchronization, Internet streaming, electronic repository services, and secure online access to documents and transcripts from any PC or handheld device. Benchmark Reporting Agency has been covering depositions in Minnesota and Nationwide for over 45 years, in our office at the Campbell Mithun Tower in downtown Minneapolis we have 3 conference rooms that are equipped with videoconferencing and we have access to over 5000 locations worldwide as well as other sites in Minnesota. Benchmark Reporting offers worldwide scheduling and we would be happy to arrange for you a reporter, a videographer and a location anywhere in the world. Our Web Repository gives anyone on your litigation team access to your transcripts, exhibits, invoices and calendar with your own secured password and user id. Our vision is to become the most respected woman-owned business in the country and the most desirable place for professional court reporters to work. We have formed trusted alliances with affiliate agencies which gives us the ability to schedule professional and dependable nationwide service. We always offer our clients groundbreaking technology and our staff provides exceptional customer services with unwavering attention to detail. We are continuously transforming the way we operate to continuously improve our ability to provide high quality work and superior customer service. Our employees and partners have continued to meet the challenges of our field. We are very proud of where we are today and excited about where we are headed. California Deposition Reporters, Inc. has been helping the legal community win their cases for over 38 years by giving attorneys the tools and resources they need to be more prepared, organized and ready to take cases to trial. California Deposition Reporters, Inc. is constantly innovating and trying new tools to give their clients the upper hand. California Deposition Reporters, Inc. is your full litigation service agency. We help you prepare and win your cases from filing through trial. We are a full white glove service which can help you throughout the entire litigation process. Services Offered: Court Reporting, Depositions, Hearings/Motions/Trials, Document Service Center, Translations, Transcriptions, Legal Videography, Interpreting, Video Conferencing, Digital Deposition Transcripts, Real-time Stream, Streaming Depositions, Nationwide Depositions and deposition transportation. Services Offered: Captioning, Court Reporting, Depositions, Document Service Center, Translations, videographer, video conference, web cam streaming, interpreters, conference room. Having been a court reporter since 1991, Brent Christopher now leads a team of multimedia professionals serving law practices in the areas of court reporting, video and litigation support services. Remaining on the technological edge is our strategy for remaining relevant and in demand. Christopher Video & Reporting was formed in 2001 and has since been serving cities nationwide with an emphasis on the midwest. We understand the legal arena and are here to service your team as litigation support experts. Complete Legal Services is a locally owned and operated litigation support company supporting the Kansas City legal community.  Comprised of tenured members of the litigation support industry, we are dedicated to delivering superior quality and service to our clients. We assist our clients with processing electronic discovery, access to online review platforms, the scanning of hard copy documents and photocopying services. How does Cooper Moeller maintain the highest court reporting and videography service expectations, across Kansas City and the nation? With an acute focus on their original cornerstones. They’ve simultaneously created a team of like-minded reporters who embrace new technology like eDepoze, but hold on to traditional work values, a sense of professionalism and ethics. They focus on meeting their legal clients needs regardless of the case size and complexity, instead of on delivering the status quo. Each Cooper Moeller court reporter understands the gravity of their job. Each also understands the affect having a can-do and pleasant attitude has on deposition participants and attorneys, especially when sessions go long and tasks are grueling. Court reporting requires the ultimate combination of precision work and a positive nature. Nobody does it better than the nearly 30 professionals that make up the Cooper Moeller team. Founded in 1989 and a global provider of litigation services, Courtroom Sciences, Inc. (CSI) is a premier litigation support company focusing on critical communications consulting, deposition services, records retrieval, litigation psychology and presentation multimedia. Through our use of web-based tools and other technologies, CSI meets the needs of clients in litigations of all sizes, while leaning on our extensive and invaluable experience to provide a superior and focused level of service. Visit courtroomsciences.com for more information.  DepoTexas is the preferred depositions and litigation support provider for leading law firms and corporate legal departments throughout Texas. The passion and professionalism of our world-class court reporters legal video specialists and production support team is reflected in all our services. DepoTexas invests in the latest deposition and litigation services technology to provide you with the most effective online case management applications and tools. Distinct Deposition Services, Inc. is owned and operated by Michael McKenzie. Distinct will still provide our client’s personalized services and the latest in Technology that you have been accustomed to. We back everything we put out, to ensure you with the highest level of a quality product. All of our Reporters are Experienced, professional Court Reporters for depositions, arbitrations and hearings. Regular turnaround is 10 days, with Same Day, Next Day and Expedited turnaround available. We can accommodate any court reporting service you may need anywhere in the USA through our network of reporters.  Ellen Grauer Court Reporting Co, Inc.
Ellen Grauer Court Reporting Co., LLC is an independently owned global court reporting company headquartered in New York City . We provide the highest quality court reporting, videography, videoconferencing and interpretation services throughout the United States and abroad to U.S. and international law firms, worldwide corporations, and government entities. We have extensive experience reporting complex matters around the globe, including arbitrations, trials and depositions. HG Litigation Services is a leading deposition provider with almost 40 years in the litigation support industry. Our team is equipped with experience, technology-based solutions, and expansive resources to support all depositions throughout the country.  HG aims to reduce your overall deposition cost while providing your attorneys with the highest level of personalized service in the industry. We are pleased to offer a variety of custom solutions for each of our Corporate Clients.  Our nationwide presence allows us to efficiently manage large, multi-party cases, and we hope to be a strong partner for your litigation support needs. Denver court reporters, Hunter + Geist, Inc., offers a virtually unlimited list of services and technologies because of our vast experience in the court reporting business. When it comes to customer service, we are unparalleled in our thinking that everyone needs everything yesterday. We know the pressures and stress involved in the litigation world, and we do everything we can to meet their demands. Listed below is a comprehensive list of services we offer to you, our client. iReport Solutions LLC is a full-service court reporting and videography firm that provides cutting-edge technology solutions to its clients. Jilio-Ryan Court Reporters integrates industry-leading expertise and innovative technology to make sure our clients are provided with every advantage possible. We have secure online services that allow attorneys, legal support staff and claims handlers an easy way of downloading deposition transcripts, exhibits and powerful navigation tools for transcript review. The strength of our client relationship is the key to our growth and success. We pride ourselves on the level of service that is second to none in the industry and has made us, truly, court reporting’s premier concierge company. LAK Reporting is a boutique firm with highly experienced reporters offering clients the latest in technology with a focus on customer service. Ludwig Klein Reporters & Video, Inc.
Ludwig Klein Reporters & Video, Inc., is the premier full-service court reporting agency in the greater Los Angeles area. For the past 30 years, our superior quality and exemplary service in providing court reporting services and legal videography services have garnered us a reputation of excellence that sets the high standard in Los Angeles County. Owned and operated by licensed court reporters, both Past Presidents and Founding Members of the Deposition Reporters Association of California, who have provided local and nationwide personal service, 24/7 Online Repository, and many more services, allowing us to maintain a loyal client base, top-notch realtime reporters, and videographers. McCorkle Litigation Services is the largest independently owned Court Reporting company in the Midwest. We are a family owned company, so we do not have shareholders. That means we are able to re-invest in our customers and ourselves, which keeps our rates low, while staying at the forefront of legal technology. Ask us for a free demonstration! 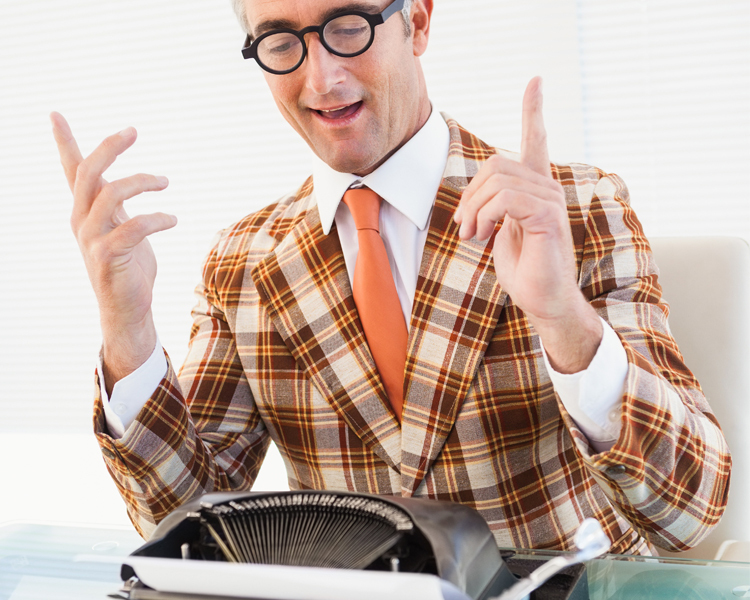 Accurate, timely transcripts are the hallmark of any competent court-reporting firm. Our ability to deliver when the unpredictable occurs, or when a case requires a high level of innovation to get the job done, is Neesons’ forte. The gold standard is not how the regular, everyday case is handled; it is how the exceptional cases are dealt with that speaks to exemplary service and client experience. O’Brien & Levine delivers all the services—including customer service—that a litigation group expects from a court reporting agency. From discovery to multi-jurisdiction depositions and to trial, O’Brien & Levine is always in the forefront of introducing technology, for example eDepoze, that supports the legal team. Maybe it has something to do with our Boston roots, where innovation always flourishes. Our experienced court reporters, legal videographers, transcriptionists and technical and administrative staff are attuned to how best be of service to you for every assignment—locally, nationwide and worldwide. Your focus is legal strategy for your clients. Our focus is full-service court reporting—wherever your cases take you, whatever you require. Worldwide Court Reporting (covering depositions, trials, hearings, arbitrations, transcriptions, board meetings), Realtime, Legal Videography, Video/Text Synchronization, Videoconferencing/Mobile Videoconferencing, Internet Streaming, Paperless Depositions with eDepoze, Conference Rooms, Secure Online Transcript Repository, Exhibit Linking, Trial Support, Interpreters. At Opveon, we are making litigation more efficient and helping litigators to be more effective. And while we continue to do that each and every day, our focus has expanded and we now share our years of in-courtroom experience with clients across the country to help them develop better strategies to win their cases. We are your A-to-Z litigation support service provider and we want to become a part of your litigation team! 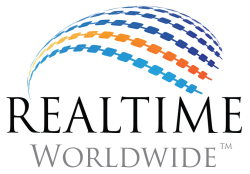 At Realtime Worldwide, we are committed to meeting your expectations. Always. That’s our pledge. From start to finish, you can expect nothing less than professional conduct and service, topnotch realtime, and accurate transcripts timely delivered. Always. We pay attention to the details. We prepare meticulously for each job assignment so that your reporter arrives already familiar with case-specific vocabulary. Good preparation and top-tier skills mean our reporters can provide you instantaneous realtime of a quality that sets the standard in the industry. That’s the level of service the world of litigation demands today, and we deliver it. At Stratos Legal, our clients expect the highest levels of professionalism, customer service, and knowledge from our nationwide staff. For these reasons, we utilize the very latest technology for court reporting, records retrieval, and videography. It’s not simply a matter of keeping up with technology; it’s about delivering solutions that will save our clients time and money. At Stratos, our leadership team is comprised of veteran legal professionals. We know first-hand what it takes to successfully prepare our cases for trial, and we are always available to our clients. You should always expect the best. Stratos Legal delivers. 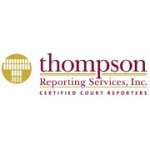 Thompson Reporting Services, Inc., Certified Georgia Court Reporters, serving the metro-Atlanta and surrounding counties, i.e., Fulton, DeKalb, Cobb, Gwinnett, North Fulton, court reporting services for deposition and examination under oath services. Our firm has been serving the Georgia court reporting needs since April of 1991. We offer Min-U-Script, pdf, txt, e-transcripts, and several more options of formatting. We have the convenience of online scheduling, very competitive rates and efficient and quality transcripts. TransPerfect Legal Solutions (TLS) is a diversified global provider of legal support services and technologies, with offices in over 85 cities worldwide. The TransPerfect story began in 1991 when co-founders Liz Elting and Phil Shawe met at New York University’s Stern School of Business. Their vision in launching TransPerfect was to provide the highest quality language services through a client-focused business model—something they felt the industry lacked. With no external financing, TransPerfect grew from its dorm-room beginnings into the world’s largest privately held provider of global communications solutions. Early in the company’s history, Liz and Phil recognized the legal industry had significant and specialized needs for translation services.  As the company grew to handle these specialized and high-stakes projects, they found that attention to client service was a major factor in earning the trust of many of the world’s top corporations and law firms. As a result, they decided to form TransPerfect Legal Solutions, a specialized division that would provide end-to-end legal support services, including the expert language services for which TransPerfect was known. The foundation of this division was derived from its commitment to serving the client’s best interests. Through the support of such a broad and influential client base within the legal industry, TLS was able to successfully launch and grew these new service offerings, including forensic data acquisition, e-discovery, paper discovery and production, managed review, staffing, and court reporting. roven success in solutions engineering, problem solving, and delivering legal support services that clients can trust—anywhere in the world. 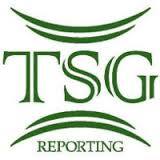 TSG Reporting provides comprehensive litigation support for some of the largest law firms and corporations in the world. Professional, live client service is available 24 hours a day, offering clients a single point of contact for all litigation needs worldwide. Our commitment is to provide the highest standard of support and deliver world-class service and work product. U.S. Legal Support, Inc. founded in 1996 is a privately held company with over 60 offices located across the United States. As one of the leading providers of litigation services, we are the only litigation support company that provides court reporting, record retrieval, and litigation, eDiscovery and trial services to major corporations and law firms nationwide. Our management team is truly unique with division presidents who are experts in the litigation services industry. All are involved in the day-to-day processes and have the autonomy to make immediate decisions regarding client questions and concerns. They have the tenure and the proven ability to organize resources, resulting in long-term client relationships. Veritext is the global leader in court reporting and deposition services. Our commitment to personal service and experience in managing even the most complex cases means you can feel confident the details are taken care of. Veritext has the finest court reporters, extensive experience in every type of litigation, and operates using the highest levels of data security (PII and HIPAA-compliant). With over 40 offices nationwide, you can rest assured that wherever you litigate, we can help. For more information, go to www.veritext.com, call 866.299.5127 or email calendar-ca@veritext.com. Services Offered: Court Reporting, Realtime, Videography, Interpreter Services, Videoconferencing, Video Synchronization, Remote/Internet Depositions, MyVeritext online/mobile scheduling and secure and HIPAA compliant transcript and data repository, fully-appointed conference and deposition suites, mediation and arbitration support, Native Evidence Capture (for compelling trial presentations) and more. Video Counsel is a law technology and consulting company providing mobile IT solutions to attorneys, law firms and other legal service providers. We offer secure technology to enhance and streamline the practice of law via an advanced video-based law client engagement solution. Our platform includes a built-in directory and interactive portals for both the provider and client. This allows legal practitioners to manage client interactions and conduct video consultations from computers, laptops, smart phones, and tablets. Winter Reporting is an owner operated court reporting and litigation support New York based court reporting agency established in 1999. 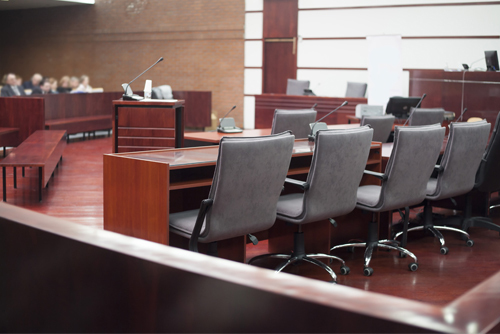 We specialize in arbitration hearings providing nationwide and international coverage. We are well known for hosting arbitration hearings in our fully supported 5,000 square foot arbitration center located in New York City’s Financial District as well as for our Mobile Arbitration Kit (MAK), a fully integrated audio/visual tech system which transforms an empty room into a turnkey hearing/court room setting. For over 30 years Worldwide has provided legendary innovative and customized litigation support for many high-profile cases throughout the country and the world.